With varying styles and colour, there are so, so many shoes out in the market now. Though it’s always good to have choices, doesn’t that get frustrating sometimes? Apart from choosing a pair of shoes that fit your feet, the majority of us want to look good too. What should we wear for a black tie event? Or a business seminar when we want to impress? Furthermore, busy mornings mean we don’t always have the luxury of time to ponder too long about what pair of shoes ought to go with what we’re wearing today. 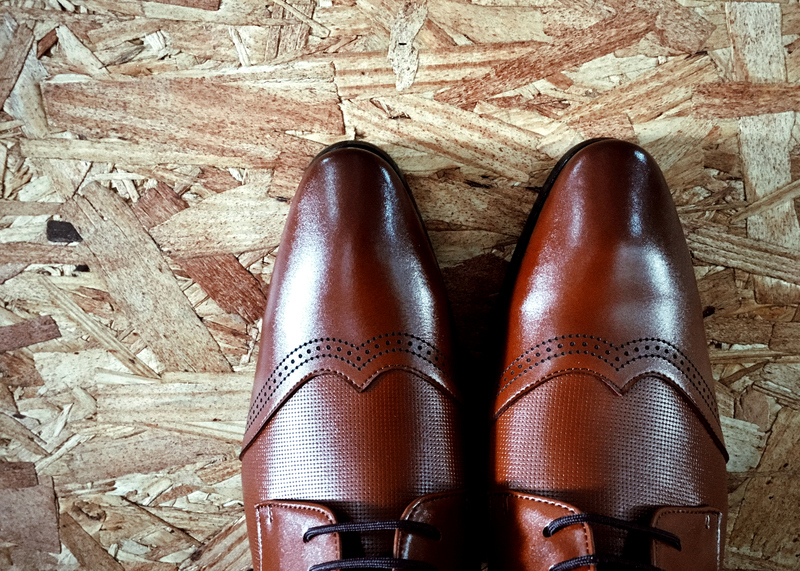 Today, I’ll share my personal favourites – the staple dress shoes that I trust can complete a formal outfit. [wpvideo 8a6tjLQF] The first pair is the leather oxford. The most distinguishable feature of oxfords is the closed lacing system, which gives it a smart appearance suited for formal attires. All men should wear laced-ups rather than slip-ons for formal occasions. Every man should own this classic and timeless staple. The oxford is a dressy shoe - this is a pair of shoes that you can pull out for any formal event. If I may suggest, do consider a pair of black oxfords. This is a pair that you can wear for your job interviews, weddings, black-tie events, funerals and business meetings. We all know shoes speak louder than words; your shoes can complete an outfit and broadcast your personality as well. For those who just stepped in the working world, this is the pair of shoes for you. Men who wear oxfords give off the impression that they care about authority and are serious about their work. Oh yes, remember to shine your shoes, this shows you’re someone who pays attention to detail. If you’re feeling generous with yourself or you’re looking for a fancy pair of dress shoes, you can consider bespoke shoes from Church’s, John Lobb or Johnston & Murphy’s. That pair of shoes will be the jewel of your shoe collection, which makes it perfect when you’re dressed to impress. Then, we have the leather brogue. What is a Brogue? In fact, any shoe with perforations is considered a brogue – be it an oxford, derby or monk. The origin of modern brogues can be traced back to Ireland; these shoes were made with perforations which allowed water to drain through as one crosses wet terrain. The Brogue is a style of shoes with decorative patterns along the shoes’ visible edges. The brogueing gives the shoe character which makes this style popular amongst modern men. If you’re working in the creative industry, this is a pair of shoes for you to consider. Brogues are less formal than oxfords and you can wear them with suits or even jeans, which makes this a pair of shoes suitable for casual interviews. Leather brogues in browns work well with almost everyone’s wardrobes and allow the details on the shoes to stand out as well. You can decide on the image you want to portray, how formal or relaxed, depending on the material of the shoes. A pair of shoes made out of box calf leather is a more dressed up option whilst a pair that’s made out of scotch grain leather will give off a more relaxed look. So I’ve mentioned my staple dress shoes that keep me covered from work to black tie events. How about you guys? What are your staples? Next week, we’ll be talking about our staple slip-ons so stay tuned for that!